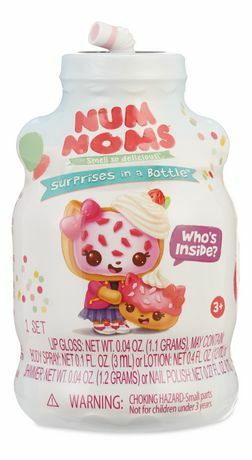 Num Noms™ Mystery Makeup are the newest Num Noms™ to pop into town! 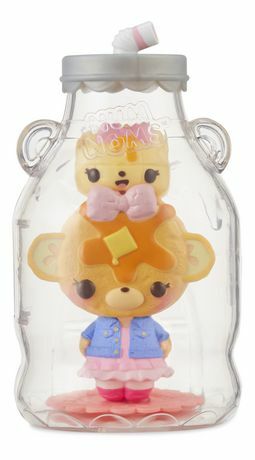 Unbox these adorable surprises in a bottle to find all new Yummy characters with a makeup surprise inside. 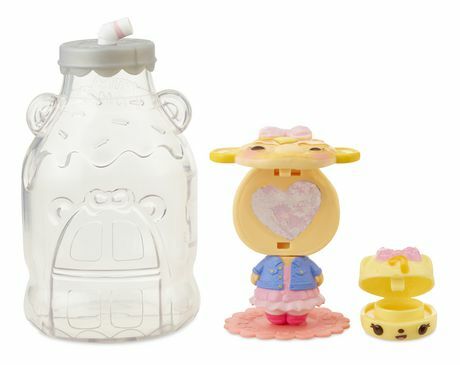 You could find nail polish, shimmer, body spray, or lotion, and they all smell so delicious! 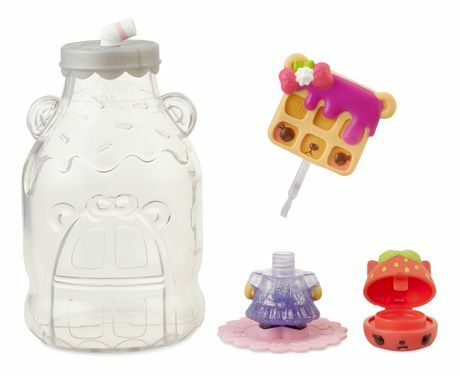 Each Mystery Makeup comes with a lip gloss Nom. 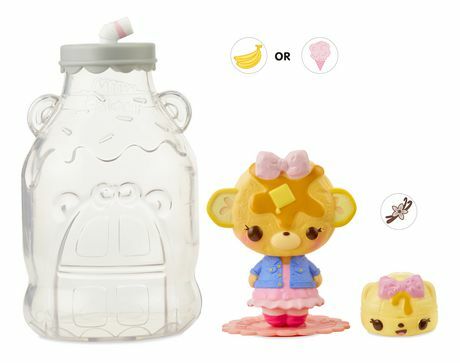 The bottle doubles as a house and playset, and also includes a cute plate stand. 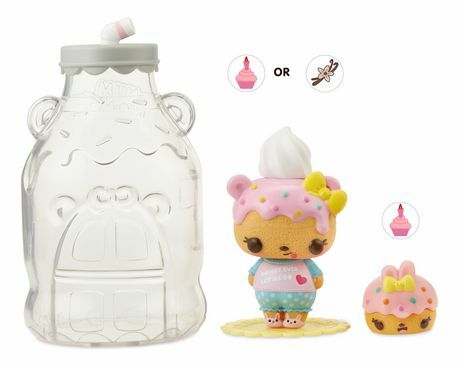 Collect all the cosmetics and adorable characters. • Num Noms™ Mystery Makeup includes new Yummy characters with a makeup surprise inside! 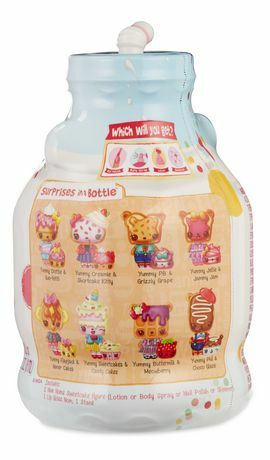 • Find nail polish, shimmer, body spray, or lotion, all of them are scented! 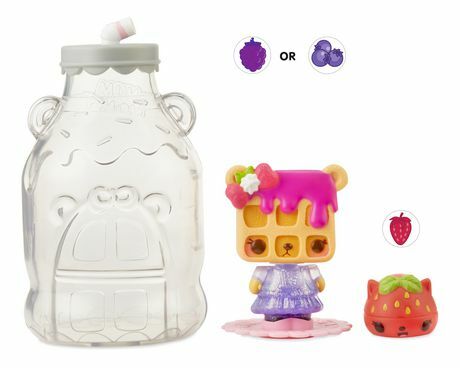 • Comes in molded plastic bottle that doubles as a house and playset. 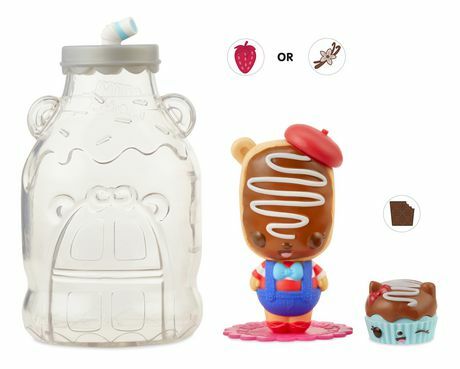 • Also includes lip gloss Nom pet and plate stand for Yummy character.